Base 11 is a nonprofit 501c3 workforce and entrepreneur development company on a mission to solve one of the country’s biggest problems: The growing science, technology, engineering and mathematics (STEM) talent crisis fueled by the underrepresentation of women and ethnic minorities. Together with our partners, we are leading the STEM Revolution. 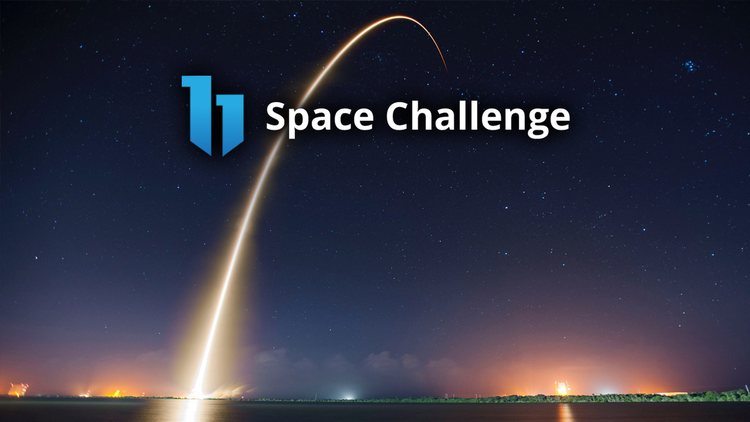 The Base 11 Space Challenge is a $1 million+ prize for a student-led university team to design, build, and launch a liquid-propelled, single-stage rocket to an altitude of 100 kilometers (the Karman Line) by December 30, 2021. Launch competitions will be held at Spaceport America in New Mexico. The Challenge will feature annual competitions to achieve detailed milestone achievements for students to develop liquid-fuel rockets, including design, static testing, and smaller pop-up innovation challenges. The biggest purse, which is fully funded, is the $1 million space launch prize. Why was the Base 11 Space Challenge created? The mission behind the Base 11 Space Challenge is to dramatically increase the science, technology, engineering, and mathematics (STEM) talent in the United States with greater representation and inclusion of women and minorities, while empowering the future workforce with the education and skill-training necessary for jobs in the aerospace and related industries. Base 11 wants to ensure that the economic opportunity of the commercial space industry is open to women and minorities -- those left behind by the tech boom in Silicon Valley are not left behind by this coming wave. Why is spaceflight important to improving STEM? Space launches, including SpaceX’s recent Falcon Heavy dramatic launch, continue to captivate imaginations around the world to dream of realizing a New Space Age. Space exploration is critical for our civilization to survive and thrive beyond the 21st century. The opportunities are endless, but we are faced with a huge problem: a STEM talent gap crisis. There are simply not enough qualified engineers and computer scientists in the pipeline to fill the growing demand of US industry and government. How is the Base 11 Space Challenge different from other programs? A $1M+ prize is a significant incentive for universities to bolster their rocketry programs for students to learn more than the theory of liquid propulsion systems. Student participants will develop skills and real world experience in industry level safety protocols, systems engineering, propulsion, electronics, bench testing, computer aided design (CAD), navigation, flight regulation, diversity and inclusion, business development, teamwork, and innovation. How is Dassault Systèmes supporting the university teams? Dassault Systèmes is making its 3DExperience Platform available to up to 25 university teams registered to compete in the Space Challenge. This will give all schools a collaboration platform of leading engineering tools for their work. The 3DExperience Platform will also be used for all competing teams to submit their rocket designs and simulation results for judging, regardless of the software used to engineer their rocket. Additionally, students registered in the competition will be able to use the 3DExperience platform for use as a professional digital portfolio of their work. Finally, Dassault Systemes will also waive the fee to take the Solidworks and CATIA certification exams for eligible students participating in the Base 11 Space Challenge. How will the Challenge address diversity and inclusion? Base 11 is a nonprofit STEM workforce and entrepreneur accelerator on a mission to solve one of the country’s greatest problems: the growing science, technology, engineering and mathematics (STEM) talent crisis, fueled by the underrepresentation of women and ethnic minorities. By solving this problem, we can also establish a sustainable middle class inclusive of all Americans. The Base 11 Space Challenge enhances the STEM talent pipeline and supports inclusion by requiring university teams to strengthen their own talent pipeline. By partnering with a local community college and high school to share outreach activities, teams can engage and ultimately recruit more diversified talent to sustain their teams over the four-years of the challenge and beyond. Why is the focus only on liquid fuels? Currently, the commercial space industry, including SpaceX and Blue Origin, use liquid-fueled engines, yet most existing student rocketry programs focus on solids or hybrids. Because the Base 11 Space Challenge aims to fulfill the urgent need for diverse, well-trained STEM talent, the challenge focuses on liquid propulsion. How will Base 11 ensure the safety of the students during the various phases of the Space Challenge? Creating and implementing a world-class safety protocol for liquid fueled rocketry teams in universities across the US and Canada is a top objective of the Base 11 Space Challenge. A team of nationally recognized safety experts is developing guidelines specifically for the student teams participating in the challenge. The Safety Advisory council includes current and retired employees of SpaceX, Boeing, Rocketjet Aerodyne, Pratt Witney and New Mexico Spaceport Authority. Base 11 is also working with the operations division of the FAA’s Office of Commercial Space. Further, each team will be required to designate a Safety Officer and complete mandatory safety training, including maintaining detailed safety logs. What are the expected outcomes of the Challenge? A well-trained and fully vetted talent pipeline that will be available to aerospace and tech employers.Participants will learn the safety requirements necessary for working with rocketry and particularly liquid-fueled launch vehicles.Student participants will have documented the real-world job skills they gained, such as engineering design, 3D imaging, project management, and systems integration. One or more university teams will make it to space. The silos between industry, academia, philanthropy, and non-profits will be broken down and an integrated, scalable STEM talent development model will be established on a national scale. Hundreds of students will be accelerated into the Base 11 Victory Circle. Base 11 will distribute $1.15 million over the course of this three phase challenge, with a $1 million award being the ultimate prize for the rocket that reaches the 100 Km altitude mark by December 2021. Smaller prizes will be awarded during the three phases for technical achievement and for innovative problem-solving. The monies won from these competitions are intended to help teams defray some of the financial burdens associated the Challenge. Please see the full prize breakdown in the Challenge Guidelines. Where will the launch attempt(s) take place? Spaceport America will host all launch attempts. Teams from any US or Canadian institution of higher learning are eligible to participate, as long as they have provided all the required entry information by the September 28, 2018 deadline. Please see the Official Rules for complete eligibility requirements. How can I get involved if I’m not a student? There are opportunities for everyone to get involved. Companies can join the Base 11 Space Challenge as sponsors by providing materials, facilities, or expertise to support the teams. Individuals can volunteer their time as mentors for teams or make financial contributions. K-College students can submit a design to our logo competition to create the branding for the Base 11 Space Challenge. I’m interested in mentoring a student team, how can I offer my support? Creating tomorrow’s aerospace innovators requires mentorship from current aerospace industry innovators. Become a Base 11 Space Challenge mentor to share your expertise directly with student challenge participants. And in the process, get to know personally some of the world’s brightest up-and-coming talent. Opportunities include mentoring a specific university team, developing a deep relationship with that group, or providing expertise that benefits all challenge participants, through a webinar, real-time Q&A, or in-person meetings with team leaders. We’re committed to working with you to tailor a mentorship opportunity that bring the most value to you, your company, and the teams. If you’re interested in becoming a mentor for the Base 11 Space Challenge, visit our Mentors Page! I’m interested in sponsorship opportunities, where can I learn more? Sponsorship opportunities are currently available. Please contact spacechallenge@base11.com for information. What are the technical requirements for my rocket? All rockets must comply with the Base 11 Space Challenge System Requirements. Within the scope of these System requirements, what the rocket looks like and how it works is up to the teams. Can I use off-the-shelf components in my design or consult industry experts? Students teams may buy an engine and other off-the-shelf components and may use mentors and subject matter experts to provide design critique and similar guidance. But launchable rockets are expected to be solely the product of student teams' efforts in terms of design, execution against design, full integration, and launch. Do teams keep their Intellectual Property? Absolutely. All intellectual property rights, if any, in the idea, concept, or activities demonstrated by the Submission will remain with the Competition Team. How do I register my university team? Please see the Entrant Application section of the Challenge Guidelines for instructions on how to register your team. Should my whole team sign up on HeroX.com/SpaceChallenge? Yes, every person who is listed on your Team Roster must register on HeroX by clicking ACCEPT CHALLENGE and agreeing to the official rules. They must accept the Official Rules. They must attend the virtual safety training series. Can my team sign up after the September 28th deadline? Will teams be eliminated from the competition? The Judging Panel does not intend to eliminate any teams. The judges may recommend some team collaborations in cases where it is unlikely that sufficient progress will be made by certain teams on their own. Gross violation of the Safety Document or failure to follow competition guidelines are grounds for disqualification from the challenge. Will travel expenses to the meetings, events, demonstrations and launches be covered by Base 11? Teams are expected to cover their own travel expenses. 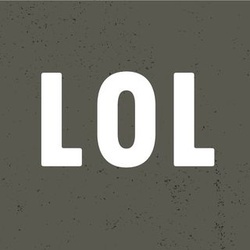 Does the rule against hypergolics mean we cannot use hydrogen peroxide and kerosene? No. Hydrogen peroxide and kerosene are acceptable for your rocket. Who can participate in the Pop-up Innovation Contests? In general, Pop-up Innovation Contests are only open to registered university teams. Each Pop-up Innovation Contest will have its own competition guidelines. LAUNCH RAIL: Will the competition provide a launch rail for teams to use? The National Rocketry League will provide a launch pad for teams competing in the Base 11 Space Challenge to launch from. This pad is the Microcosm pad seen at the Friends of Amateur Rocketry site in Mojave, CA: https://friendsofamateurrocketry.org/launchers/. LAUNCH RAIL: Are we required to use this Microcosm launch pad? No, teams may design, build, transport and set up your own launch pad. Team-provided launch pads must be inspected and approved by competition officials for safety prior to arriving at the launch site. LAUNCH RAIL: If one of the first teams to launch in a launch window damages the launch pad, is there a back-up plan so the other teams can launch? The National Rocketry League is aware of this potential problem, and is continuing to investigate available options for a “backup” launch pads, in the event there is damage that cannot be repaired promptly. Launch pads are extremely expensive and not easy to build or transport. If your team is concerned about this situation, you may provide your own launch pad to ensure there are no risks. LAUNCH RAIL: If my team’s project damages the Microcosm launch pad, are we financially responsible for repairs? Yes, the team who damages the launch pad is financially responsible for all repairs. Your team should ensure that the launch pad is covered by your insurance policy. Financial responsibilities include any deductibles which may apply. Repairs will be completed by Base 11 staff and officials. Final costs will be provided to the team when they are finalized. LAUNCH RAIL: Are there any drawing or CAD model of the tower available so we can work on service arm integration? Not yet, but we will notify teams when the files become available. LAUNCH RAIL: Are teams allowed to attach equipment on the tower in a non-permanent way (ex. Service arm with clamps)? Yes, teams can affix support equipment to the tower. However, no physical changes (new holes drilled, additional welding, etc.) will be allowed to the tower. Equipment should only be affixed to the tower when it is in the vertical position. If you need to lower the rocket, you must remove all equipment from the tower beforehand. LAUNCH RAIL: Are there any limitations (maximum rocket weight, maximum thrust, maximum size, fuel type, etc.) that we should know about? The only limit is the 60’ length. If your rocket is unable to reach adequate speeds departing the rail, you should look at redesigning your rocket or providing your own launch pad. LAUNCH RAIL: Is the launch pad LOX compatible? LAUNCH RAIL: Are there any sensors on the tower (ex. rocket weight sensor for fueling purposes)? No. To avoid compatibility issues, there are no additional components installed. Each team will have to supply their own. LAUNCH RAIL: What type of rail button is used to attach the rocket to the launch pad? Click here to download a PDF of the launch lugs. LAUNCH RAIL: Can the launch angle be set up from a distance i.e., when the rocket is fueled? No. There are no remote control capabilities. The elevation is adjusted with a hand-controlled hydraulic pump. The azimuth is set by positioning the whole-trailer. Once the rocket is loaded with oxidizer and fuel, a very small team can approach the launch rail to adjust the elevation, if needed. The area will be completely evacuated once the rocket is pressurized. I have a question not answered in the FAQ. Who can I contact? We recommend you post your question in the Forum as it’s likely other people have a similar question. You can also email your questions to spacechallenge@base11.com.